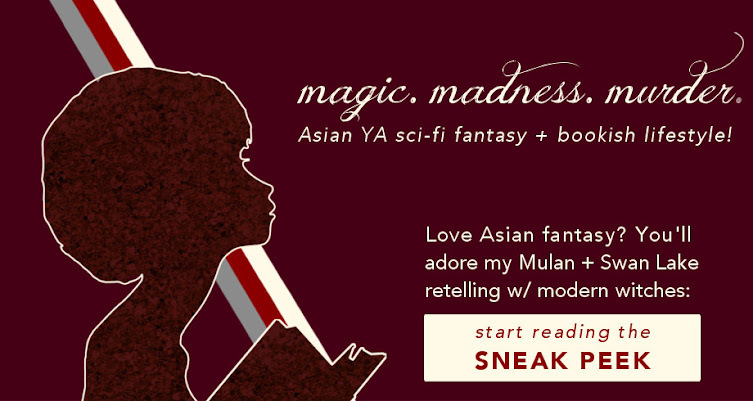 The #LitLove series is a bimonthly collaborative blog event with Topaz, AnQi, Christina, Taylor, (nicknamed ATTAC by Christina) wherein we each express our literary love for different books under the same overarching theme/topic/author. For a more detailed backstory, take a look at the first #LitLove post. 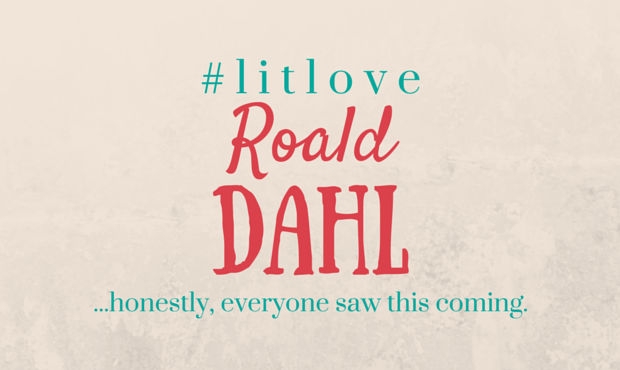 This round of #LitLove is reserved for Roald Dahl. Graphic by Christina. Isn't it gorgeous? I'm doing one of his most popular works: Charlie and the Chocolate Factory. In case you haven't read it, (side note: where is your childhood?) it's about how Charlie, a poor downtrodden kid with a loving family wins a chance to visit an mysterious chocolate factory owned by a mysterious Willy Wonka. Accompanying him are four brats whose names I don't remember. I do remember their miserable endings, though. Whoops, spoiler! In classic middle-grade book style, the bratty kids all get their comeuppance. This, by the way, is a good thing, because you will hate those annoying brats so damn much. Roald Dahl masterfully builds up your hatred for them and makes you cheer when they meet their deserved end — or do they? One of my favourite things about Roald Dahl is that the villain's fate is grisly or at least quite horrifying. Here, all the other four kids are just that: kids (if rather whiny). And yet they're 1) sucked into the pipes, 2) turned into a giant blueberry, 3) thrown into more pipes by squirrels, and 4) shrunk down to a tiny size. It's this chilling, disproportionate retribution that really defines Roald Dahl. And it's why to this day, Charlie and the Chocolate Factory still has a special place in my mind. One of the reasons I did this for #LitLove is that I wanted an excuse to watch the movie. I know there are like thousands of adaptations, but I wanted to watch a very specific one: the one with Christopher Lee. I didn't really like Tim Burton's remake of Alice in Wonderland, but I decided to try it anyways. Random review of one of Roald Dahl's more insane short stories! It's about how a detective's wife kills him and tries to escape the blame. It's ridiculously funny and ridiculously gruesome at the same time, in the vein of Roald Dahl's other works. Basically my reaction was just "oh." and then "Ohhhh." and then "What the heck" and then "What the heck?? This is awesome!" and then "I know. I'm wacko." It's a very classic crime fiction-y short, and one of my all-time favs. If you love his MG novels, you'll love this too. Much #LitLove for Roald Dahl: morbid childhood memories via @AlyssaC_HK. Charlie and the Chocolate Factory: @AlyssaC_HK's childhood fav due to grisly fate of the baddies. Good company indeed! Thanks for dropping by, Topaz! Oh my wordd. I've never read any of Roald Dahl's shorts - I never even know he HAD short stories! I'd love to read them. I'll have to find them now... thanks for sharing! I think I do like the idea of this story though, because as the author of my favorite books pointed out, Willy Wonka is the villain of the story, and that pleases me immensely. The tone IS the point, though, isn't it? The fate of the other kids wouldn't be half so hilarious without Dahl's irreverent humour. But I haven't watched the other movie adaptation (except in Tumblr gifs), so possibly I shall try that? So accurate though, that they're good as movies but not as adaptations. Indeed he is, from a certain point of view! To be honest, even though Chocolate Factory is one of his most famous works, it's also one of the darker ones. Matilda, for example, is more adorable. I loved reading Charlie and the Chocolate Factory when I was a little kid. I loved to imagine that I was one of those kids in Willy Wonka's candy factory and that I could eat all of the candy in it. :D I also liked the movie, but I only like the old version. It's so classic that I don't think anything could replace it. Hehe, yes, the vivid worldbuilding is one of Roald Dahl's trademark storytelling styles. Although I don't supposed you imagined your own grisly fate, ahaha :D I have never actually watched the old version except in Tumblr gifs, but possibly I will check it out sometime as well! Oh my gosh yes I loved this movie and story as a kid! It was just the funnies thing with what happened with the rest of them LOL. I definitely liked the book more than the movie, that's for sure! Would *I* sound evil if I said I wrote a story where the GOOD people met a tragic demise as well? Heck, I must have been depressed. Well yes! The point is, they weren't *evil*, just bratty. And as some other commenters pointed out, you might easily see Wonka as the villain! No. Absolutely not. Because I do that all the time. Wait, I call myself evil. *hides in a hole* Sorry, you're evil! Hmm, I didn't quite like the movie, but it was enjoyable on an entertainment level, I guess? Thanks for reading! Ohhh, I didn't really realise that Tim Burton directed Charlie and the Chocolate factory. BUT DUH OF COURSE HE DID. It has Depp and Carter. haha. xD I love Tim Burton and I'm a wild fan of all the movies of his i've watched (though sadly that's not a lot, but I'm not a big movie-watcher). I luuuurved CaTCF movie and book. I read all the Roald Dahl books when I was about 14. What can I say?! I'm always late to the party on kids books. But I think his style and voice is incredible. Indeed! I remember when Tim Burton and Helena Bonham-Carter separated, someone Tweeted about custody of Depp XD I do enjoy several Burton films, but the Alice in Wonderland one was ... strange? I know that feeling when you're sooooo late. I read LOTR + Hobbit only two, three years ago? And don't tell anyone now, but I read Rainbow Magic when I was 11. Mainly because I didn't like it at 6 and I felt left out. Yep, definitely. Roald Dahl's style definitely leads readers to ignore how horrifying some of the magic is, and that contrast is really refreshing. Huh, I never thought that Tim Burton directed the 2005 adaptation.... Huh. But anyways, I did read the novel when I was about ten (I don't know whether my parents knew that Roald Dahl wrote books or knew any of his books) and man, Charlie and the Chocolate Factory is one of my favorite books by him. Tim Burton directed a lot of movies you might not expect. *nods at supposedly philosophical sentiment* I read almost all of Roald Dahl's books in the bookstore, just standing by the shelf for ages and treating the place like a library. Chocolate Factory was one of the few I loved so much I managed to persuade my mum to buy home.